Designed by architect Frederick W. Paroth, Our Lady of Mount Carmel Church was built between 1899 and 1904. The Romanesque Revival church was listed as a Denver Landmark in 1977. The associated memorial and contemplative garden (1965), brick rectory (1904) and office annex (1965), parish hall (1902, remodeled 1970), and parking lot have long served the social and cultural functions of the church and annual traditional celebrations. Our Lady of Mount Carmel church. Photo by Larry Daly and Bob Kochevar. The surrounding neighborhood, comprising Denver’s historic Little Italy, is rapidly changing as original, modest, one-story residences are demolished. Our Lady of Mount Carmel Church complex is significant in the areas of Architecture, Social History, and Ethnic Heritage: European. The state level of significance is justified as the only national Italian church in Colorado. 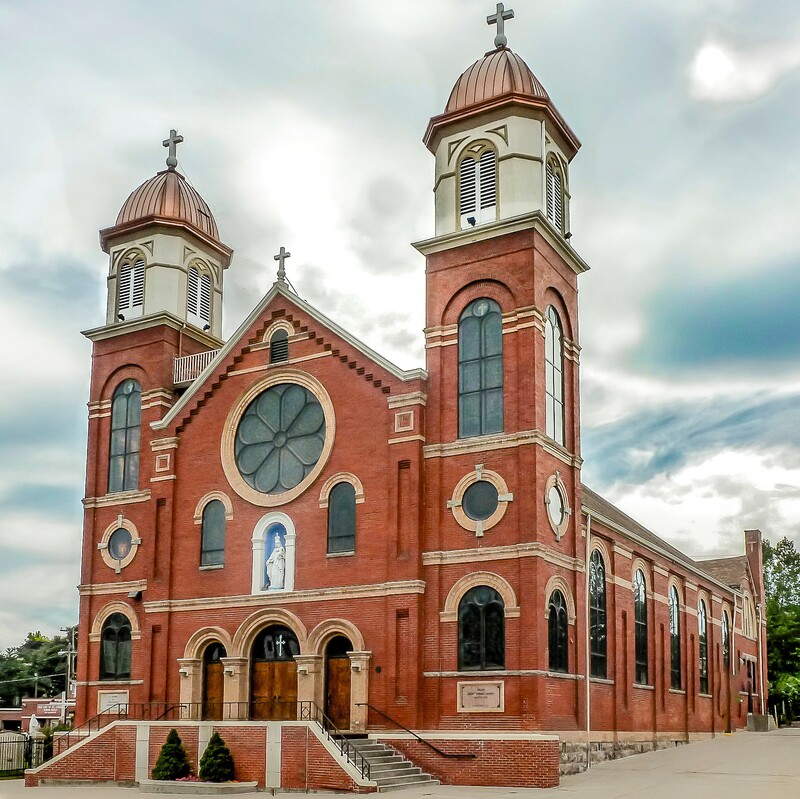 Our Lady of Mount Carmel exhibits long-standing cultural significance to the state’s Italian-American community, and specifically to Denver’s Little Italy, for its enduring, multi-generational heritage transplanted directly from Italy.